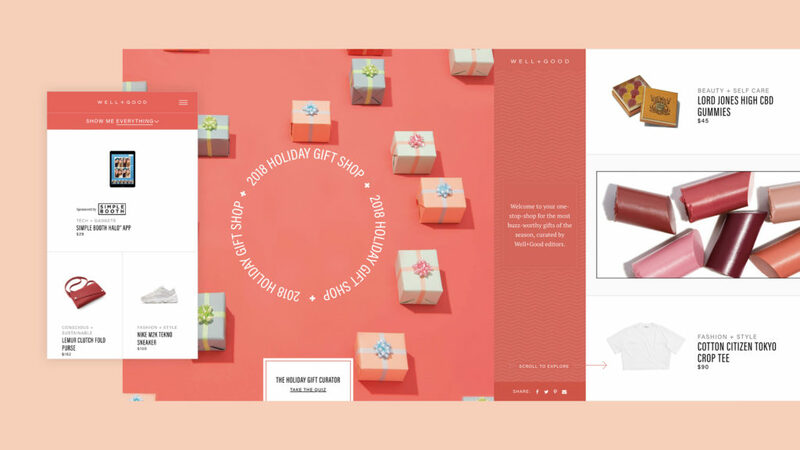 We worked with our long-time client Well+Good to launch their Holiday Gift Guide microsite. Well+Good is the premier lifestyle and news publication devoted to the wellness scene. Since 2015, we’ve worked closely with the Well+Good team to launch numerous digital experiences. 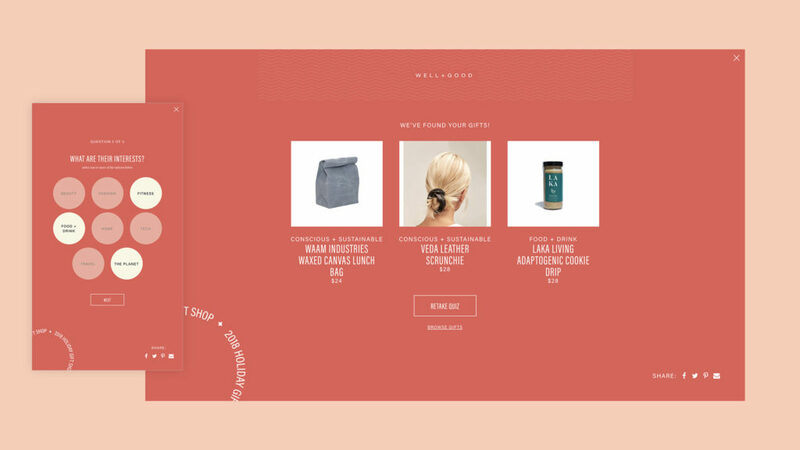 The Holiday Gift Guide uses a horizontal scroll to highlight and showcase products curated by the Well+Good editorial team. 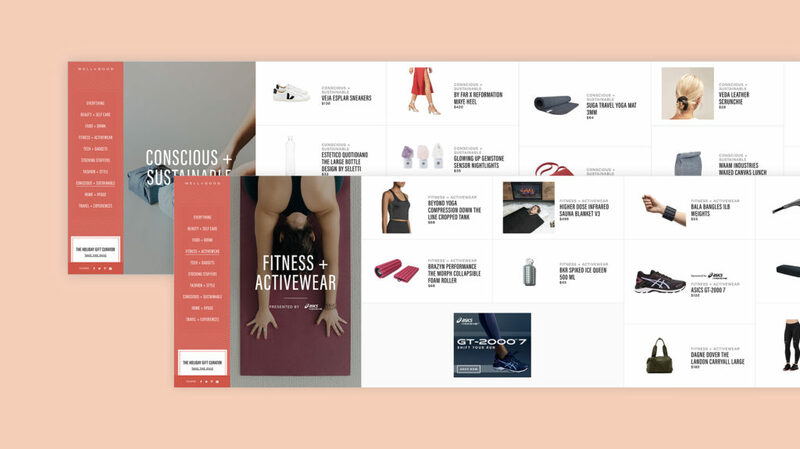 The layout also includes spots for sponsored product content as well as non-intrusive ad banners. We also built a curation quiz that provides recommendations based on who you’re looking to give a gift for, the recipient’s interests, and the price point you want to spend.